I support local designers. I like well crafted items. This is a great, classic look. I like how the upturned cuff is nearly the same color as his shirt. 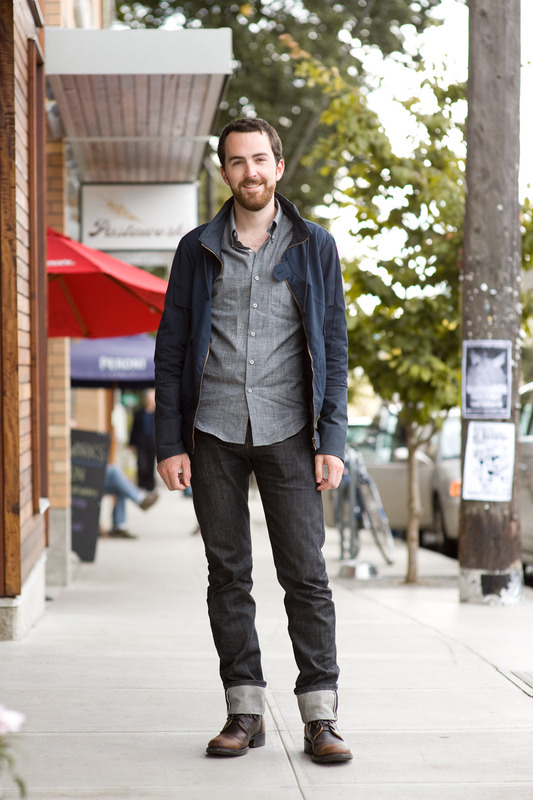 See what Austinites are wearing on the street. i love this look. the shoes are great! Amy: Yes. I agree. I liked the cuff and the shoes. It's such a comfortable relaxed style, but still sharp. I need to show my husband this photo so he will stop asking me to hem his jeans. The cuffs look great! I also love how many neutrals he has mixed together here.